Debunking solar energy myths: Solar panels require a lot of maintenance | West Coast Solar, Inc. 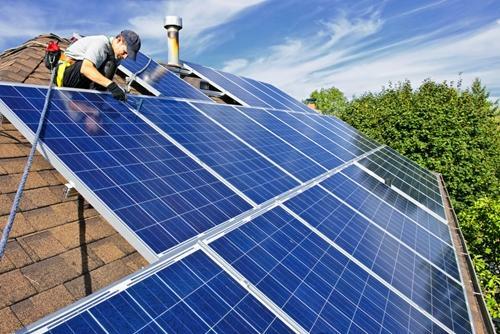 Upgrading to solar energy solutions for your home doesn’t just benefit the environment, it can also help you save a sizeable amount of money on your monthly utility bills and increase the value of your property. Plus, in spite of initial installation costs, solar panels usually wind up paying for themselves – sometimes in as few as seven years, according to the U.S. Department of Energy. There are, understandably, many questions and concerns that individuals have before making such a big financial decision. One of the most common myths surrounding solar panels is that they are difficult to clean and maintain, but that simply isn’t the case. It is important to keep your panels clean, of course, since failing to do so may limit their effectiveness and reduce their lifespan. Debris such as leaves, bird droppings, dirt and pollen can accumulate over time, so you’ll want to make sure you keep an eye on your roof to check for these issues. Doing it yourself – If you can easily access your array, wipe down the glass with soft, biodegradable soap and warm water. Hiring a cleaning service – Just like you would have a professional keep your car running smoothly or perform other common maintenance tasks, you can turn to the experts to clean your solar panels just a few times a year. The best way to go about investing in solar energy solutions is to get in touch with a company like West Coast Solar, whose knowledgeable staff can take you step by step through a fully integrated construction process. We have an extensive background in the roofing industry and will take care of the entire installation to guarantee that you’re getting the best quality products and services. We’re also happy to answer any additional questions you have that may help inform this important decision.